As we review the Forerunner 235, we should first explain how wrist-based HRMs work. Instead of reading electric pulse signals from a chest strap, wrist models use optical light to look at blood flow in your wrist. 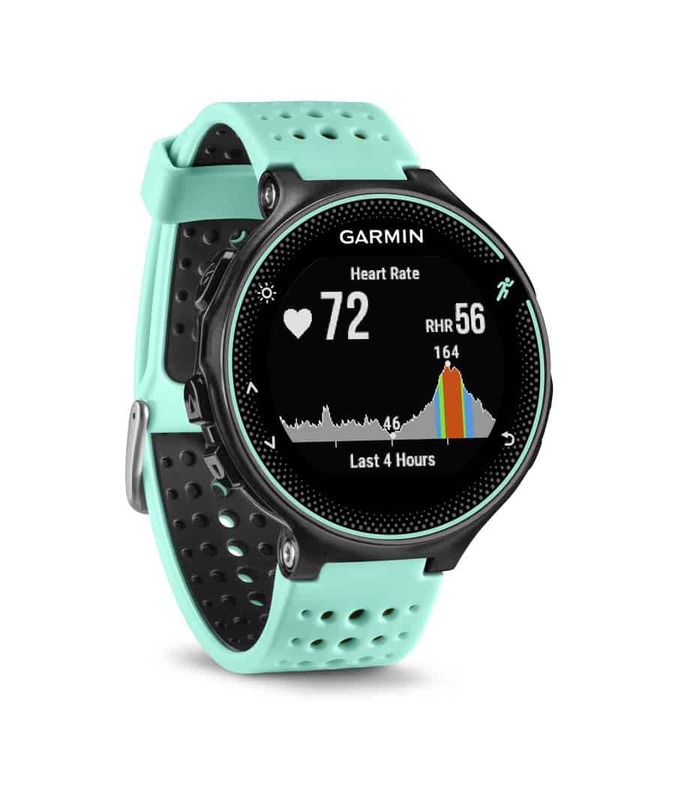 This technology has been around for a couple years, but it was only introduced in a Garmin watch in early 2015. There are a couple drawbacks to wrist HRMs. One, exterior light can interfere with the heart rate reading. To solve this, you have to wear the watch tight on your wrist. 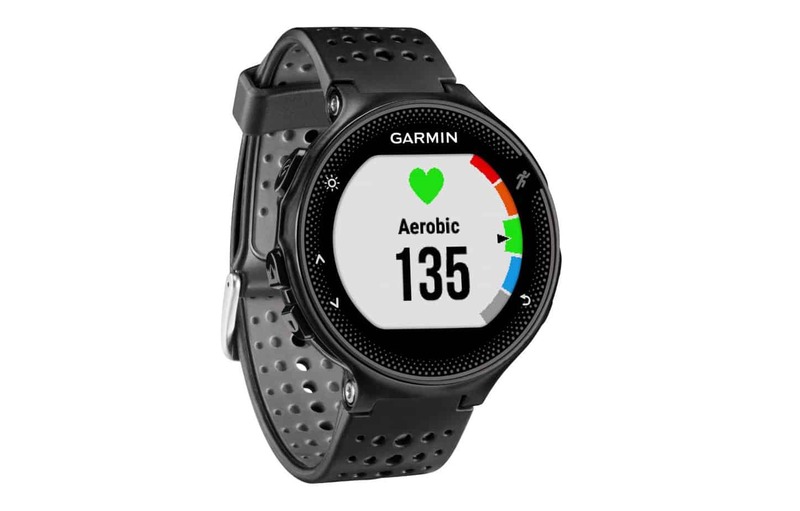 Garmin has tried to make this as comfortable as possible by using a soft, synthetic rubber wristband and a rubber O-ring around the optical sensor. But people with smallish wrists may still find it uncomfortable. A second issue is that people with dark skin or tattoos may (emphasis on may) experience problems with heart rate readings. But this is by no means universal and is only a problem for a small number of people with darker skin/tattoos. But wrist-based HRMs solve a big, big problem: YOU DON’T HAVE TO WEAR A CHEST STRAP! This is awesome news as those things can be super annoying. Accuracy isn’t as good as a chest strap HRM, but for most people it’s accurate enough. 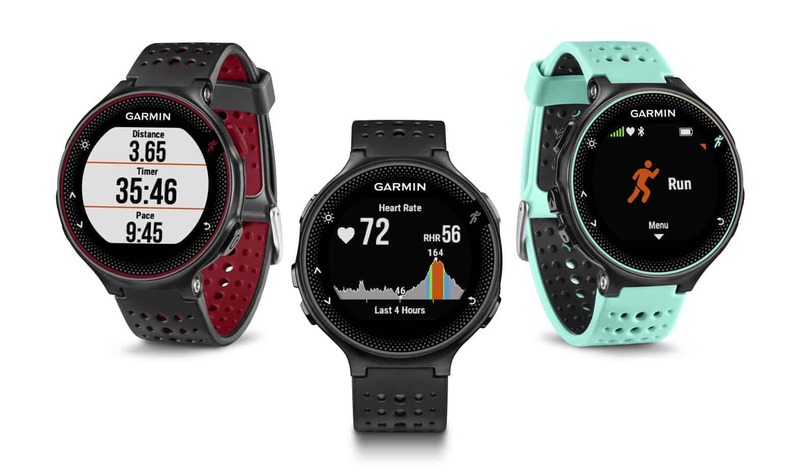 So why did Garmin make such a quick update after releasing the 225? Technology. Or lack thereof in Garmin’s case. 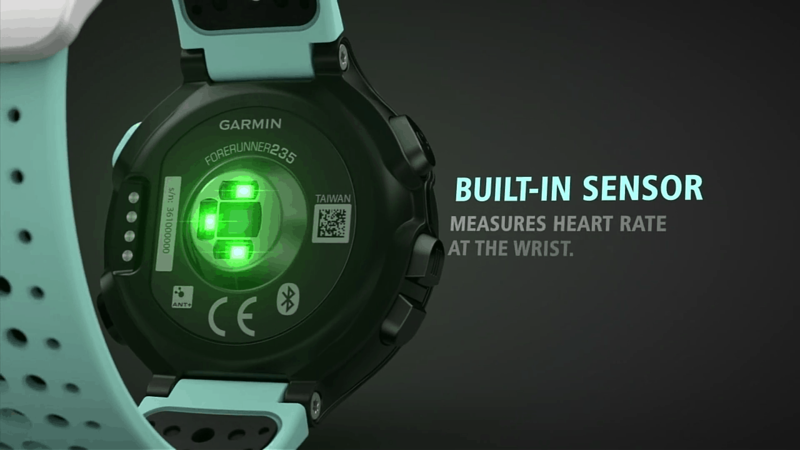 The Forerunner 225 uses HRM technology developed by (and leased from) Mio. 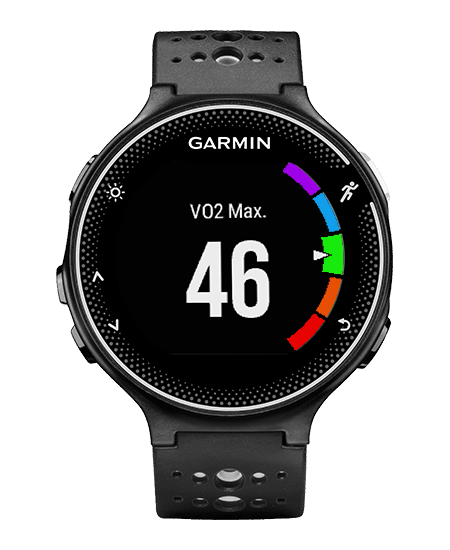 The new Forerunner 235 uses HRM technology built in-house by Garmin’s team. No official reason was given – but it’s not hard to read between the lines and realize $$$ was a factor. But one thing that was clear about the Forerunner 225 is that its heart rate technology worked! 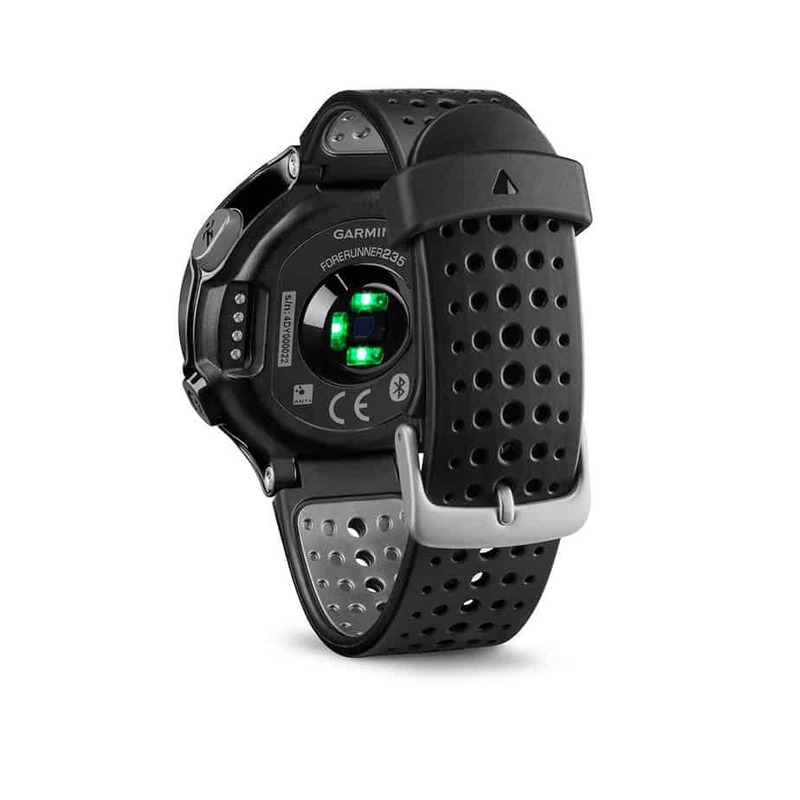 The question is whether Garmin’s own HRM could hold up. Well, early results are in and the answer is YES! So if you have been waiting to buy a wrist-based HRM, now is a great time. Let’s dive into some of the 235’s other features. The biggest upgrade is its shrinking-yet-growing physical dimensions. The 235 has a bigger display but weighs less than earlier Garmin watches. It’s also the thinnest watch Garmin has ever made. The 235 also sports some features (time/speed/distance, advanced workouts, and activity tracking) new to this line of Forerunners. Besides the battery life (which I’ll get to in a minute), the Forerunner 235 looks and functions the same as the Forerunner 230. Check out the full Forerunner 230 review to get more details on other features new to these watches. Battery-life for the 235 is reported by Garmin to be 11 hours in full activity mode (using GPS with heart rate). This is slightly better than the 225 and 220, which are clocked at 10 hours. But this needs to be more fully vetted as battery-life can vary widely from Garmin’s claims, especially given the new HRM technology. 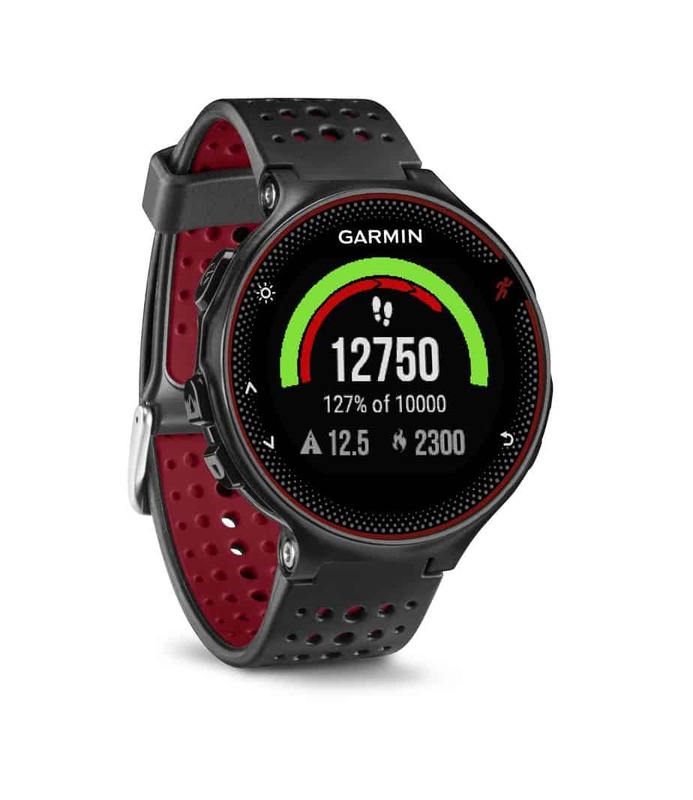 With the larger display and increased feature set, it makes sense to go with the Forerunner 235 if you are shopping for a GPS watch with a wrist HRM. And if you want a deal, go with the 225. We know it works well and is going on clearance at a great price ($240 at last check). Big YES! For intermediate and experienced runners who want heart rate monitoring without the chest strap. Yes, but only to track basic metrics: time, speed, distance. The watch is waterproof but won’t do more than time your swims in the water.